Aerosmith are scheduled to perform on NBC-TV's Today Show on Wednesday, August 15. Appearing live at The Rink at Rockefeller Center, viewing for Aerosmith fans is on a first-come, first-served basis on the Today plaza, located at 48th Street between Fifth and Sixth Avenues in New York City. NBC advises that fans should try to arrive by 5 a.m. to get the best viewing spot. 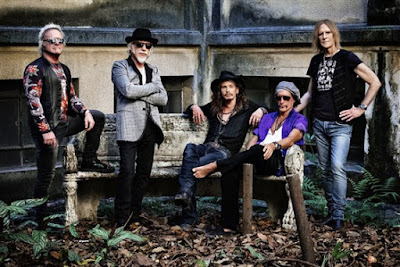 The television performance will mark Aerosmith’s second live appearance of 2018, following a May show at the New Orleans Jazz & Heritage Festival. Both frontman Steven Tyler and guitarist Joe Perry have been active with solo shows and tours this year, with Perry doing double-duty on the road with The Hollywood Vampires.